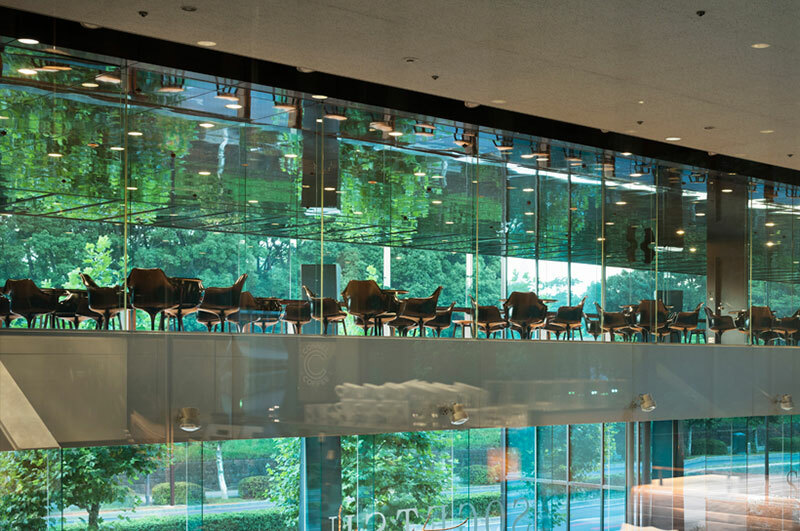 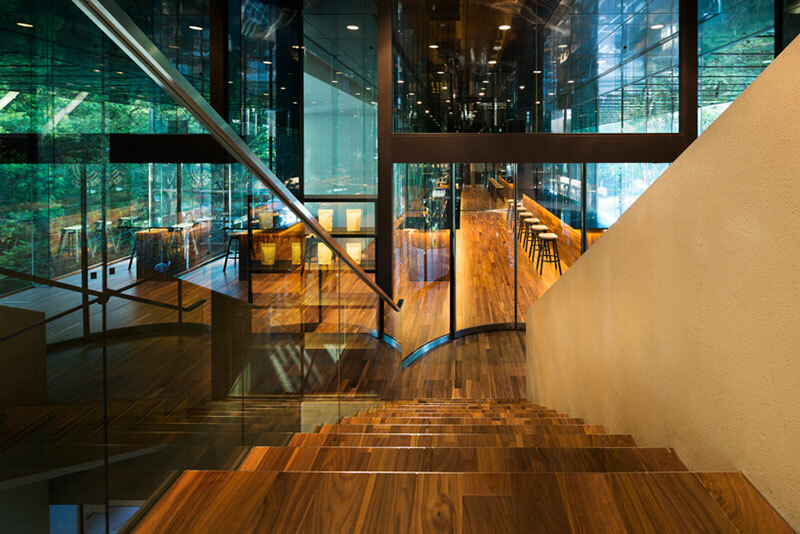 A redesigned interior of a cafe situated on the 2nd floor of the Sogetsu Kaikan in Minato ward, Tokyo. 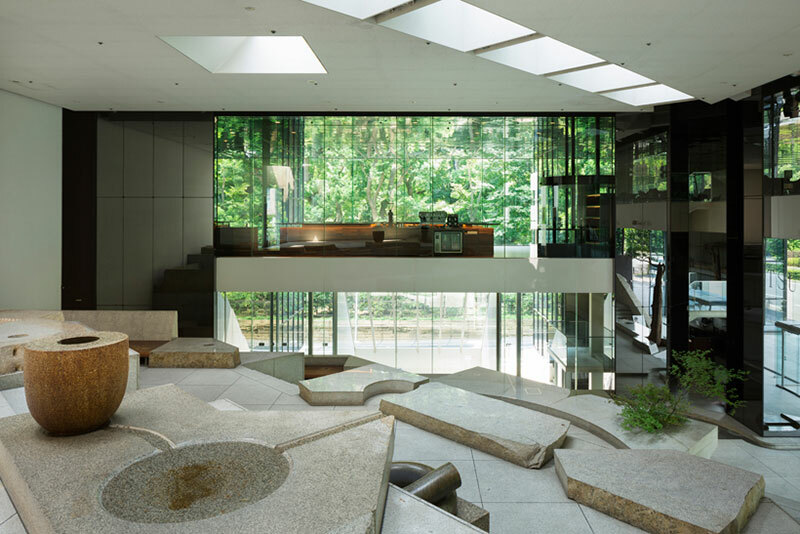 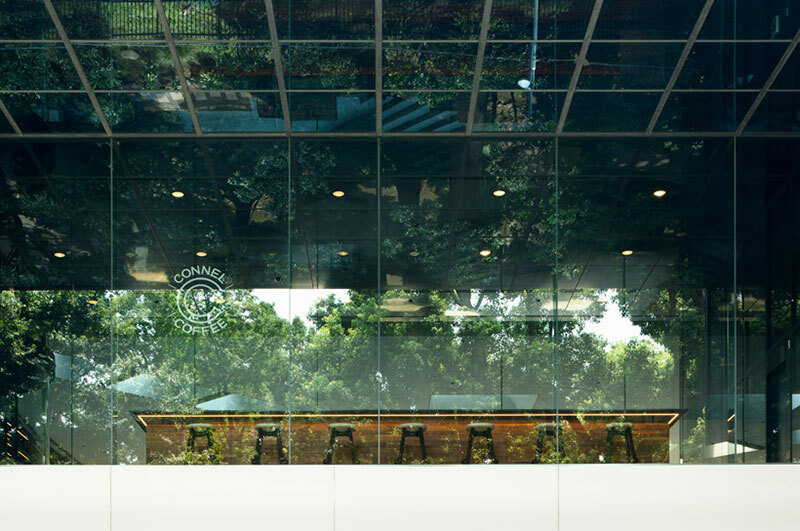 The original space, which was designed by Kenzo Tange in 1977, already had some unique features which were left untouched such as the mirrored ceiling and glass walls overlooking the Korekiyo Takahashi Memorial Park, the Akasaka Estate, and a stone garden by Isamu Noguchi. 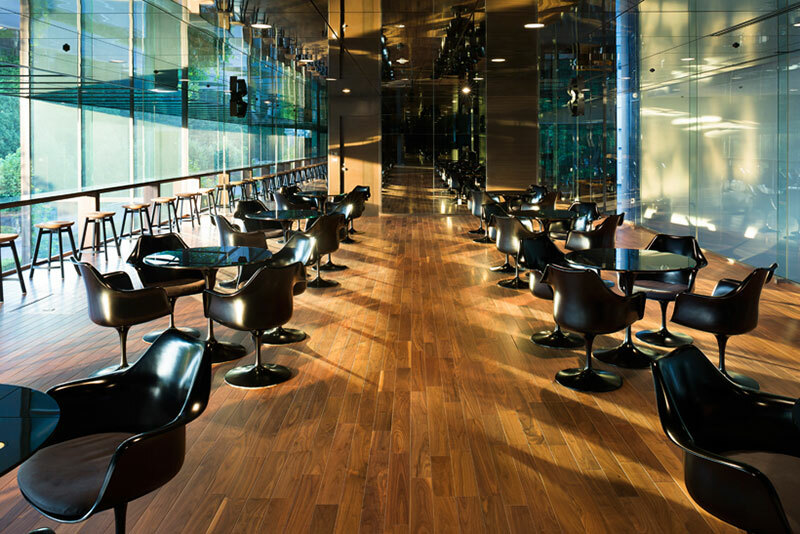 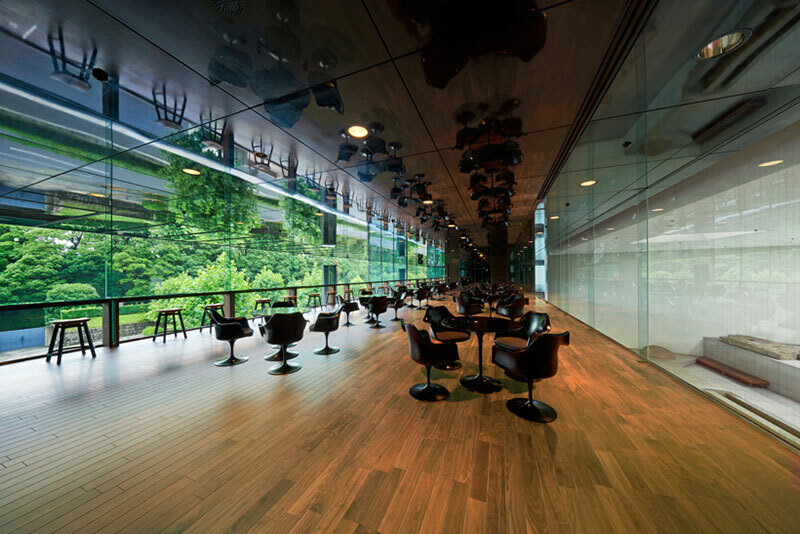 The "stream" flooring, designed by Nendo, was fitted throughout the first and second level of the cafe and was also used on the sides of the counters to unify the bi-partitioned space. 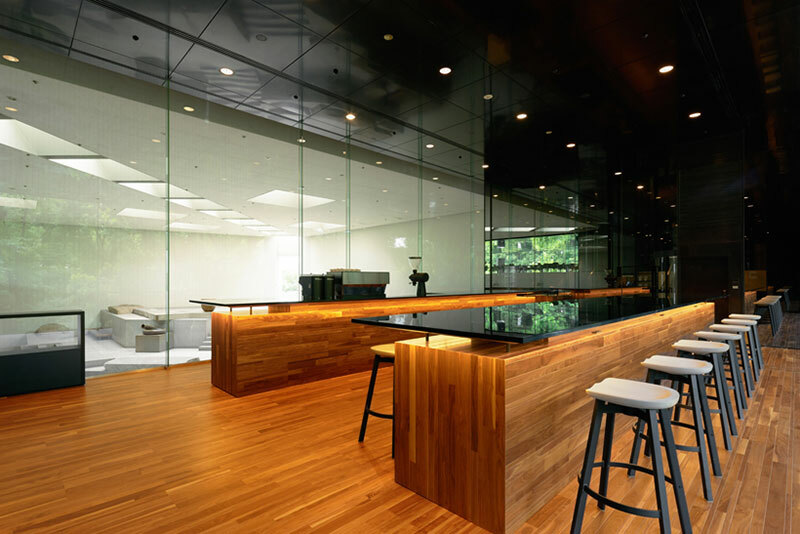 The tops of the counters were painted with gloss black to match the mirror finish of the ceiling. 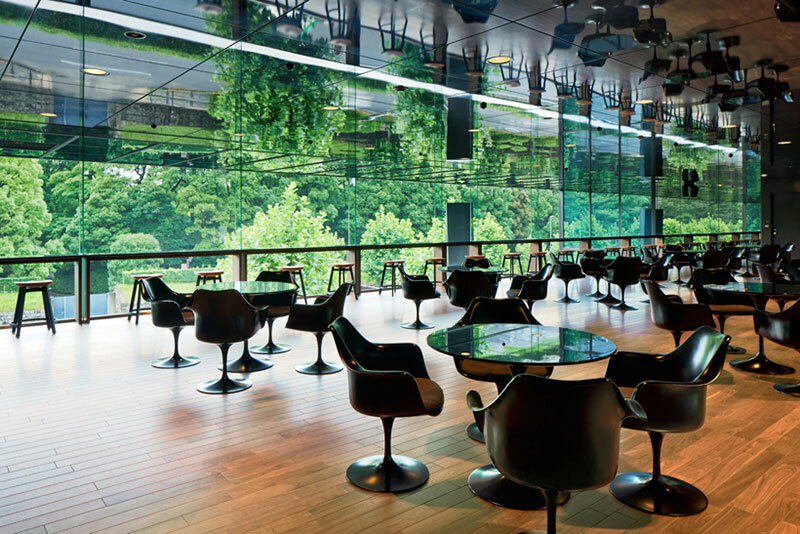 In the lounge area, the Tulip chairs and tables by Eero Saarinen were repaired for reuse and also painted with matte black paint. 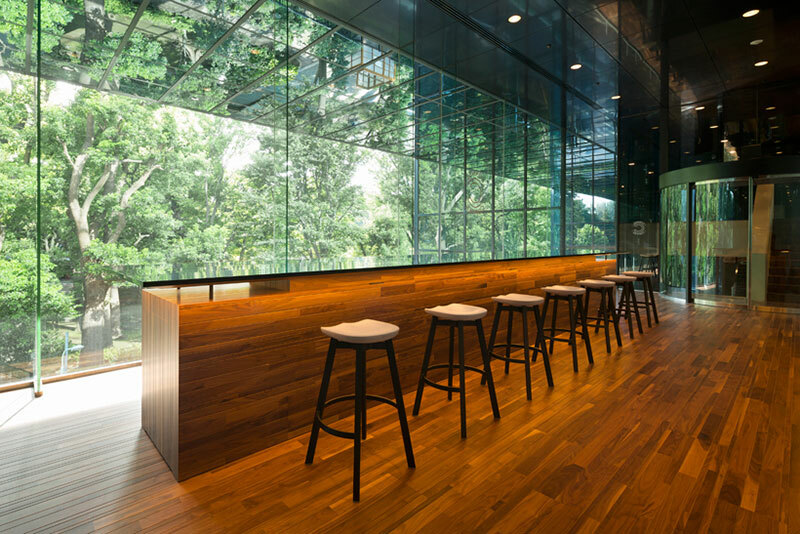 The result is an interior design that brings out the innate properties and merits of the original space as it was first conceived. 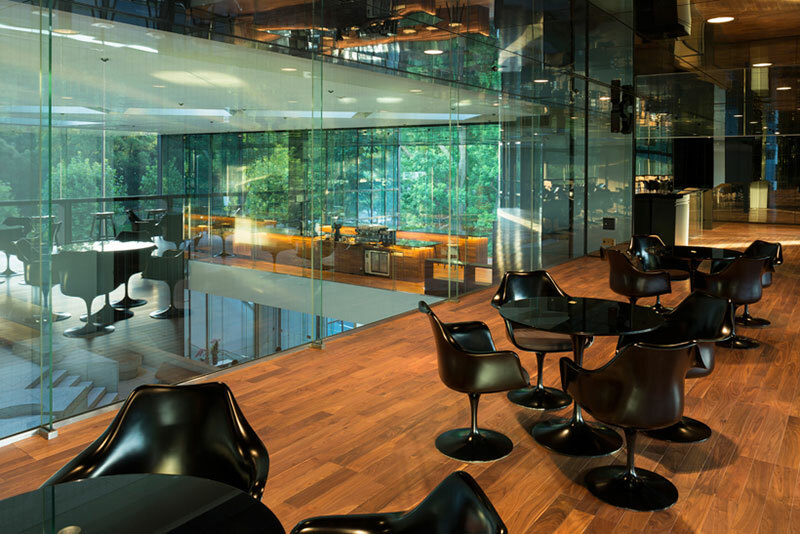 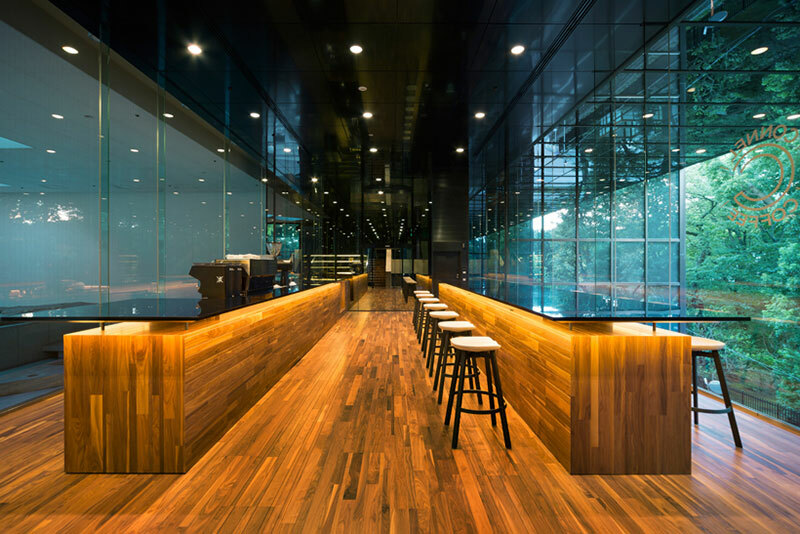 A redesigned interior of a cafe situated on the 2nd floor of the Sogetsu Kaikan in Minato ward, Tokyo.